The city in the very heart of England is within easy reach of dozens of beautiful towns and villages convenient for commuters. Eleanor Doughty picks out some of the best. Given that Birmingham is pretty much right in the middle of the country, you can commute to it within an hour from almost anywhere. Let’s take Warwick for starters, just 31 minutes from Moor Street station. This quiet, elegant and almost impossibly well-connected city has its own castle and public school. The schools, too, are excellent: Rugby is 20 miles from Warwick town, there’s Warwick School itself and Bilton Grange, also in Rugby. It’s also pretty. Local developer Ash Mill has recently redeveloped Northgate Street, turning it into one of the most desirable streets in Warwickshire. Leamington Spa, too, offers a serious supply of desirable streets. Knight Frank are currently marketing a seven-bedroom Victorian townhouse for £1. 5m, a hop and a skip to the train station, from where you can catch a train to Moor Street in under half an hour. To the east is the popular village of Long Buckby, one of Northamptonshire’s most sought-after spots and only 55 minutes from New Street station. 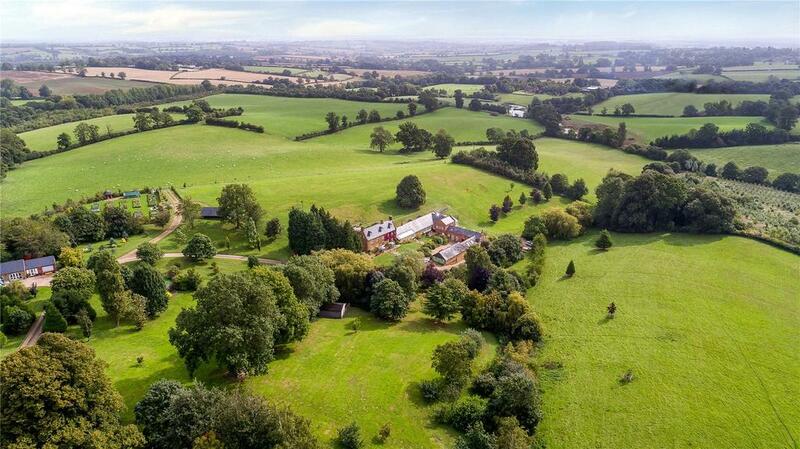 Strutt & Parker have a six-bedroom house with three rental apartments and 25 acres for £2.25m. On the other side of the city, look to Malvern, just 56 minutes from Malvern Link to New Street station. Nearby in the hills is Eastnor Castle, where the Hervey-Bathursts live, plus the rarely open (but no less charming) Madresfield Court, for keen Evelyn Waugh fans. 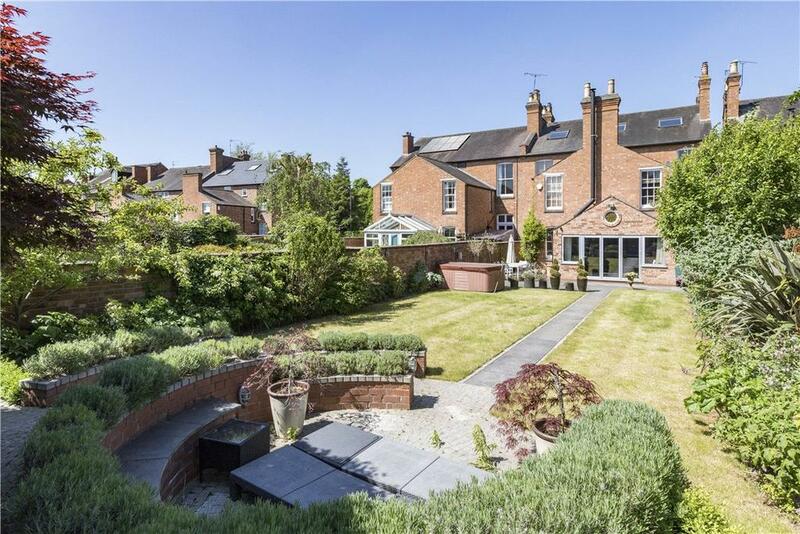 Knight Frank are marketing a seven-bedroom manor house a mile from Malvern Link station for £795,000, within easy reach of excellent schools: Malvern College, Hereford Cathedral School and King’s Worcester. This Victorian villa dates from the late 19th century, but has been updated with real panache. The open plan dining/kitchen/family room will be the hub of the house – it has a range of American diner-style vintage 1950s kitchen units. The games room in the basement is equally enchanting, with a chequerboard floor, jukebox, pool table and Space Invaders machine. This 25-acre estate includes a six-bedroom main house with fabulous views, plus a leisure complex that boasts a pool, gym and sauna. There are paddocks, stables and areas of parkland too, plus three discrete one-bedroom apartments and a separate two-bedroom cottage with its own half acre of gardens. 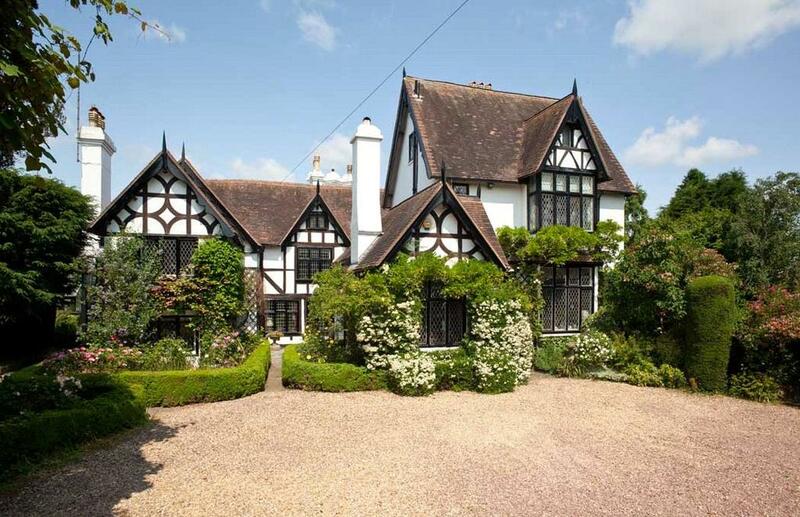 Pale Manor is a fascinating house within stunning mature gardens to the north of Great Malvern beneath the hills. There are at least five bedrooms and five reception rooms, plus two rooms which could each be used as either. A separate coach house is also part of the sale.